Amazon is taking pre-orders on a new, $89 Fire HD 8 tablet with 8-inch screen at 1280 x 800 (189 pixels-per-inch) resolution. Amazon boasts the new tablet has been clocked at 12 hours of battery life, with 2-times the storage as its predecessor, a 1.3 GHz quad-core processor, and stereo speakers that support Dolby Audio. 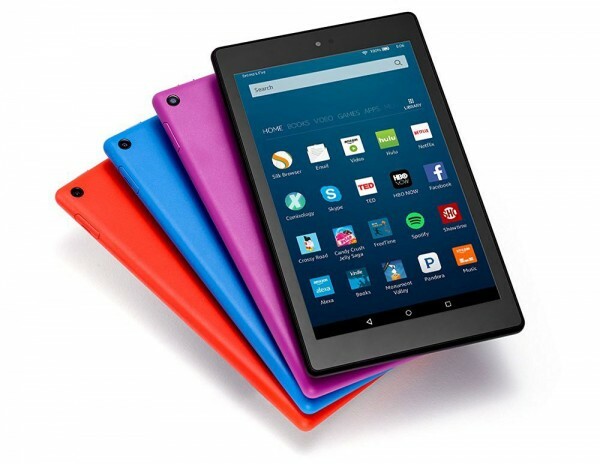 The new Fire HD 8″ is available in Black, Blue, Magenta and Tangerine colors. And, Amazon says the tablet will soon be compatible with Amazon Echo and Alexa voice controls (an exact software update isn’t provided). Along with the 8GB of storage, a 16GB configuration of the new Fire HD 8 is available for $119.99. The new models will be released on September 21, 2016.